Hello all, have really seen some pretty amazing Robots shared for this contest, over these past couple of days. So, I sketch most of my ideas whilst in transit from one place to the other, or to fill in some free-time in between jobs (sometimes this happens whilst studying so as to leave visual cues next to important points) - and most of these subjects, tend to be creatures of legend, robots or stylized maidens. 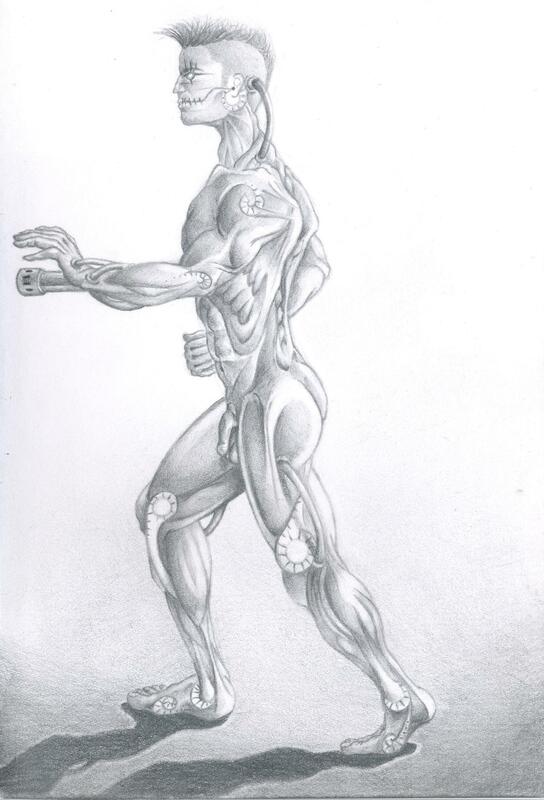 This concepts started off on a bus - forming out the proportions, minor shading, and pose from my mental visual databank. Additional details, motifs and refining of form and shading, happened during some"quiet" waiting time. This subject follows on my notion to retain a balance between organic forms and artificial elements, and beauty with evil intent.